I’m a big baby when it comes to animals, okay? When I see those ASPCA commercials come on, I need to change the channel or turn into a blubbering mess. They’re so innocent and cute and they don’t ask to be abused or abandoned. They just want to love you and be loved in return. What’s wrong with that? One abandoned pup went viral after he was found wandering around the streets of Thailand. It became so popular because of the horrifying state of the dog, which had a hole in its head that was festering and covered in maggots. It was covered in dirt and grime from living on the streets and parts of its skull was exposed. This was enough to make even veteran veterinarians weep, as it’s extremely rare to see a living dog in such bad condition. There were spots on the dog that had gone necrotic, causing the skin and underlying tissues to rot away. 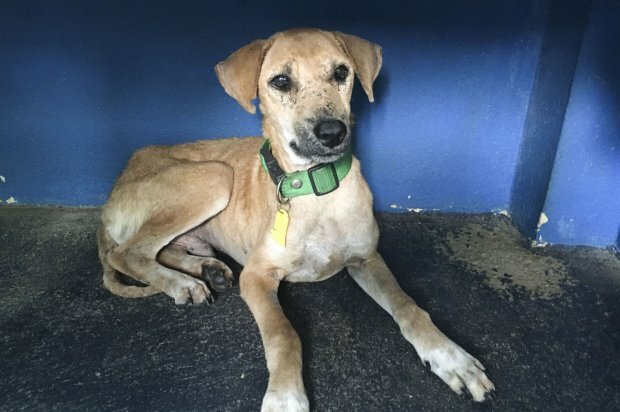 The dog, named “Kiss,” was emaciated and frightened when she was found by rescue vets. Ian Clarke, operations director for WVS Thailand, commented on the state of the dog when it was discovered. 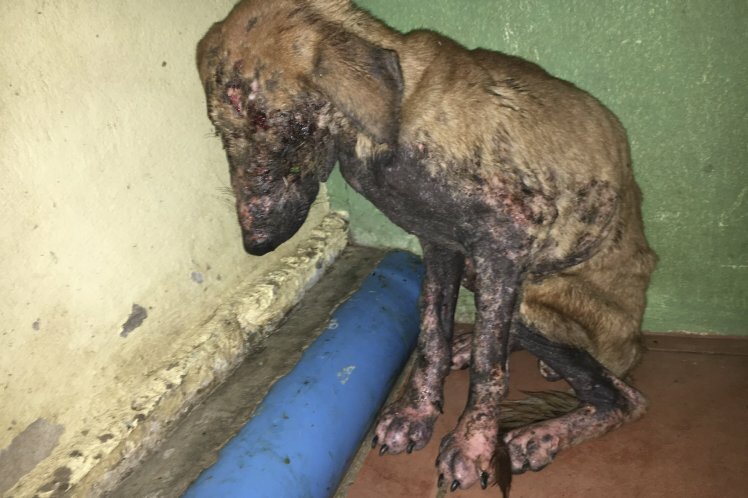 Five weeks after her rescue, she underwent a miraculous transformation. It’s sure to melt even the coldest of hearts. She looks like any other happy dog. While she’s still a little underweight, you would never guess her past traumas. The CEO of the WVS, Luke Gamble, shared the story of Kiss which he hopes will hearten dog supporters everywhere. I don’t know if I could do that, if I’m being perfectly honest with you. I couldn’t handle it. I would be a mess. I realize that it’s about saving animals and nursing them back to health, but seeing them in that condition would break me over and over again.